SOPHIE AND THE EXORCIST - IPF TEASER TRAILER! Beta Force Carbon is excited to announce the teaser trailer for their upcoming series called Sophie and the Exorcist! Be sure to watch the clip, comment, and subscribe to our YouTube channel! When her boyfriend finds a hex-filled cookbook and accidentally gets possessed by a demon, Sophie teams up with the local exorcist to banish the beast, and solve a supernatural mystery with ties to an ancient coven of witches who are hellbent on opening a portal to the Underworld. HAPPY NEW YEAR FROM BETA FORCE CARBON! It’s been an amazing year for all of us at Beta Force Carbon; we’ve released new trailers and posters and even premiered the series in the United States and Argentina! Check out director David Hiatt’s year-end thoughts here! The PsyBorgs will be having its South American film festival premiere at Buenos Aires Rojo Sangre Film Festival on December 5th! Coming off our world premiere announcement, we're so excited to be included in FilmQuest's Web Series category! 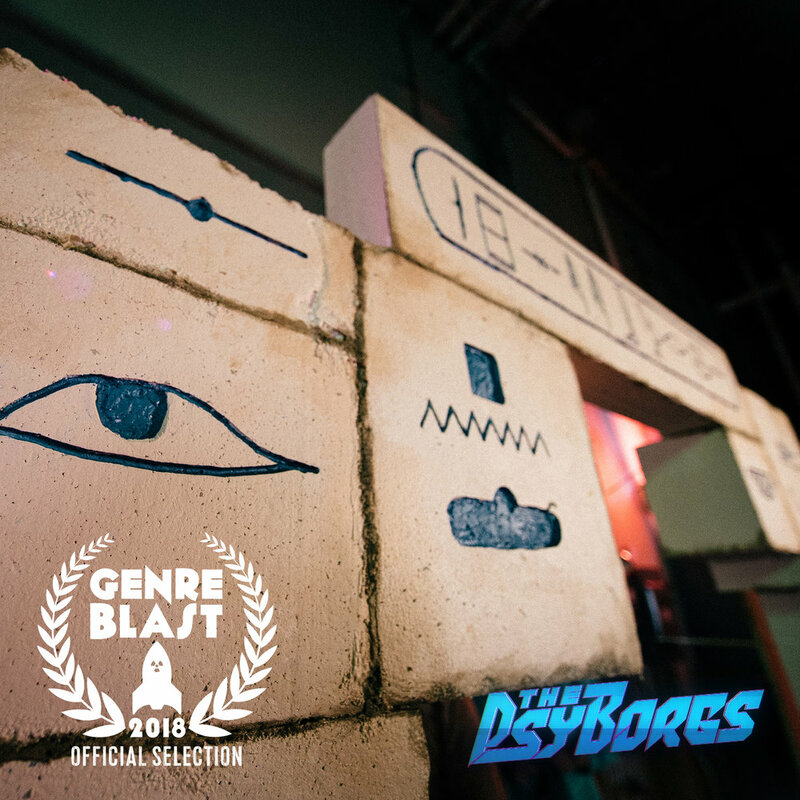 We're extremely excited to announce that The PsyBorgs will be having its world premiere at GenreBlast Film Festival III in Winchester, Virginia! This is it, The PsyBorgs is officially ready to rock your world with this balls-to-the-walls, 1990s-inspired trailer in the vein of Mighty Morphin' Power Rangers: The Movie and Blank Check! Give us a like on YouTube, leave a comment. Heck, share it with your pals over a slice of 'zza and a cold Dr. Pepper! The lean John Carbon, leader of the PsyBorgs, knows that a good squat keeps your body in peak physical condition. "Psuper heroes need love too, psometimes." The passionate John Carbon, leader of the PsyBorgs, descends into a pit of despair after being reminded of the death of a loved one. The indelible John Carbon, leader of the PsyBorgs, knows that there's always more to someone than meets the eye. CARBON FOOTPRINT - VIDEO CASSETTE BLUES! The irreplaceable John Carbon, leader of the PsyBorgs, warns friends across the globe to make sure they rewind their cassette tapes. The wonderful John Carbon, leader of the PsyBorgs, explains to the world how important our educators are. Legendary filmmaker and singer/songwriter Matt Farley (of Motern Media) graciously recorded a song that introduces all of the PsyBorgs characters! To learn more about Matt Farley and Motern Media, click here! Check out the official The PsyBorgs teaser trailer! John Carbon and his team of super soldiers use their fantastic psychic abilities to battle against the evil forces of T.O.X.I.N! Starring: Patrick MacEachern, Troy Cooper, Dallas Shaw, Emma Houghton, and Darryl M. Jordan. Director David Hiatt and producer Braden Brickner talk with Matt Watterworth and Scott Westby on the set of The PsyBorgs. CARBON FOOTPRINT - VHS BLUES!